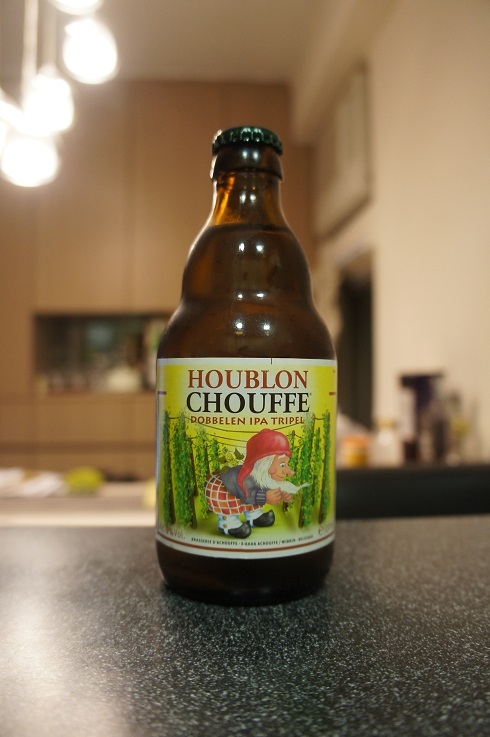 Brewer Description: (from website) Houblon Chouffe was brewed for the first time in 2006. 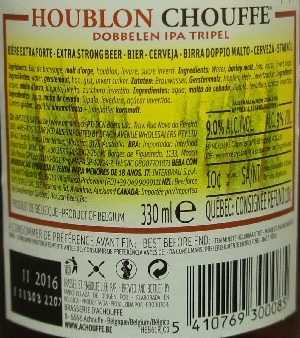 It is an Indian Pale Ale, characterised by a harmonious balance between a pleasant fruitiness and pronounced bitterness by using three types of hops. 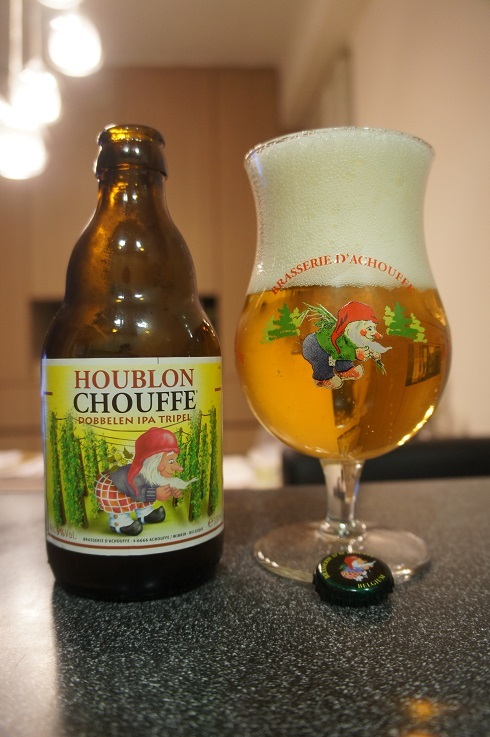 Houblon Chouffe is an unfiltered beer which is refermented both in the bottle and in barrels. 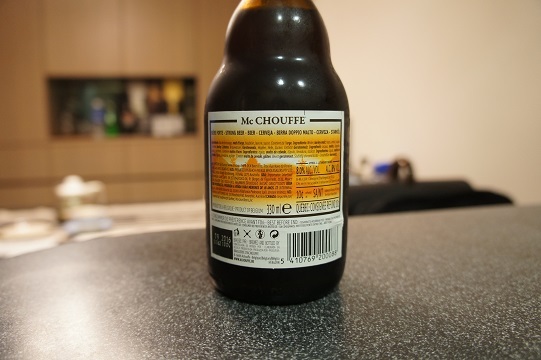 Intro: A 330ml bottle with a best before end date of November 2016 and poured into a d’Achouffe tulip glass. Appearance: It poured a cloudy pale blonde colour with a big three finger white head that had great retention and left nice lacing. Aroma: Belgian yeast and banana along with pear, apple and a hint of pine. Taste: Pine, bitterness and lightly spicy followed by light banana and honey sweetness. Mouthfeel: Dry, crisp, medium bodied with moderate tingly carbonation. Overall: A nice solid brew that hides the alcohol well. 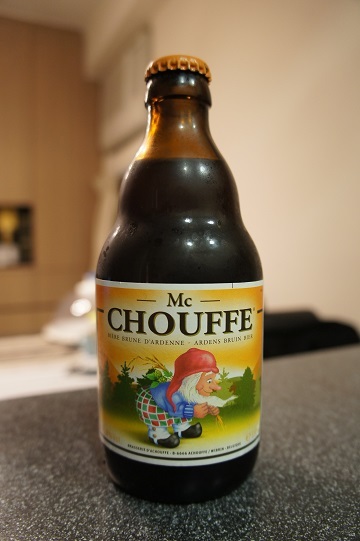 Brewer Description: (from website) Mc CHOUFFE is an unfiltered brown beer which is refermented both in the bottle and in barrels. Its fruity bouquet conceals a hint of bitterness. Intro: A 330ml bottle dated best before September 2016 poured into a Chimay goblet. Appearance: It poured a medium to dark brown with a slight reddish tint. One finger creamy tanned head with nice looking bubbles that dissipated slowly leaving nice stringy lacing. Aroma: Main aromas of dark fruits of fig and raisins along with some pear and grapes. As it warms, the grape smell became really prominent. 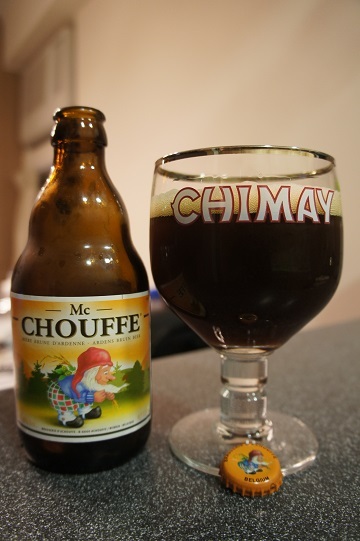 Taste: Strong tastes of dark candied fruits, plum, fig, grapes and raisins with hints of caramel and brown sugar. Overall: Overall, this was very good. Both the smell and flavours actually improve as it gets warmer. It is not too sweet and I especially enjoyed the dark fruit flavours. This is so close to being a must buy beer for me.